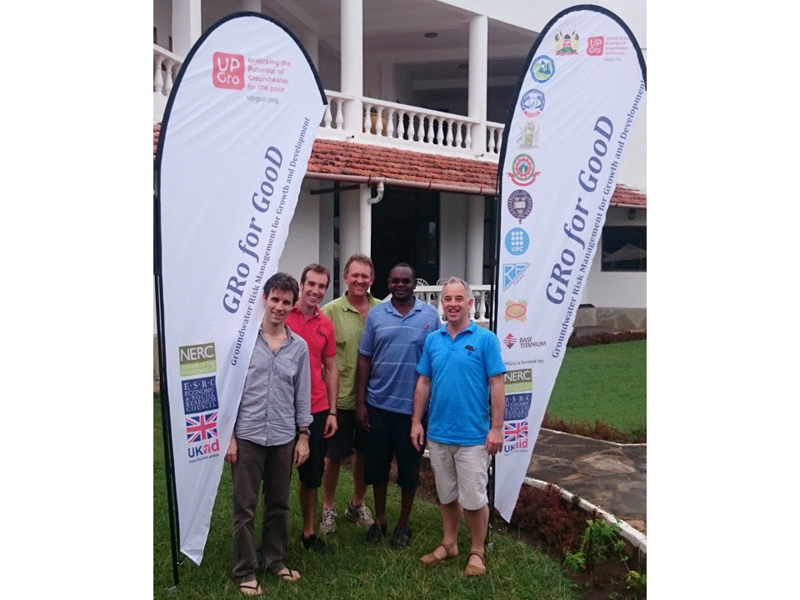 The Groundwater Risk Management for Growth and Development (GRo for Good) project is holding a workshop on 23rd March 2015 in Kwale County, Kenya as part of the Africa-wide UPGRo programme funded by NERC, ESRC and UK DFID. Improved understanding of groundwater risks and institutional responses against competing growth and development goals is central to accelerating and sustaining Africa’s development. The coastal aquifer system in southern Kwale faces a unique set of challenges to balance the water use demands of irrigated agriculture and mining with existing demands from tourism and community water supplies. An international research team led by the University of Oxford has been conducting research in Kwale since 2013, with the aim of providing evidence to support the Kwale County Government as it responds to the challenges of improving water security under rapid climate, economic, environmental and political change. The workshop will present groundwater and poverty research conducted to date by the Oxford-led team. The aims of the new GRo for GooD project will be outlined and discussed with the County Government and other stakeholders with a view to addressing the shared goals and interests and developing long term collaboration to improve groundwater security and reduce poverty.